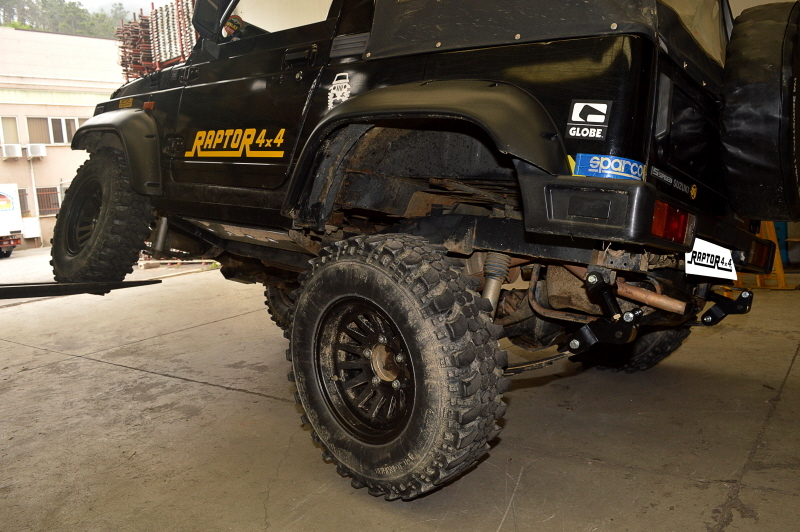 Best solution to have highest twist with leaf springs in a Suzuki. 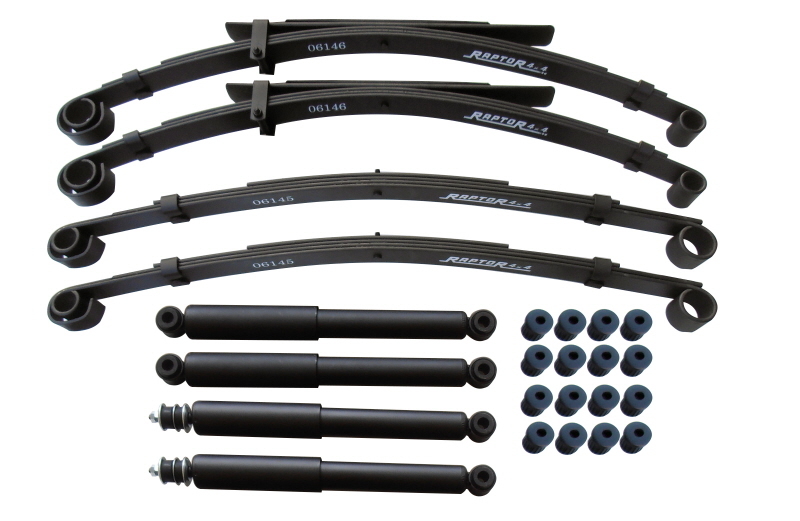 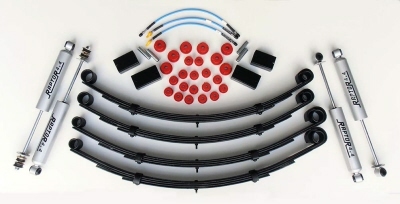 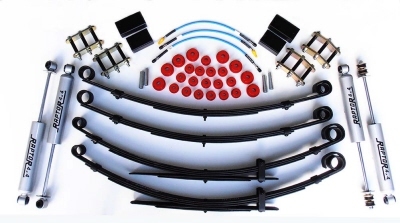 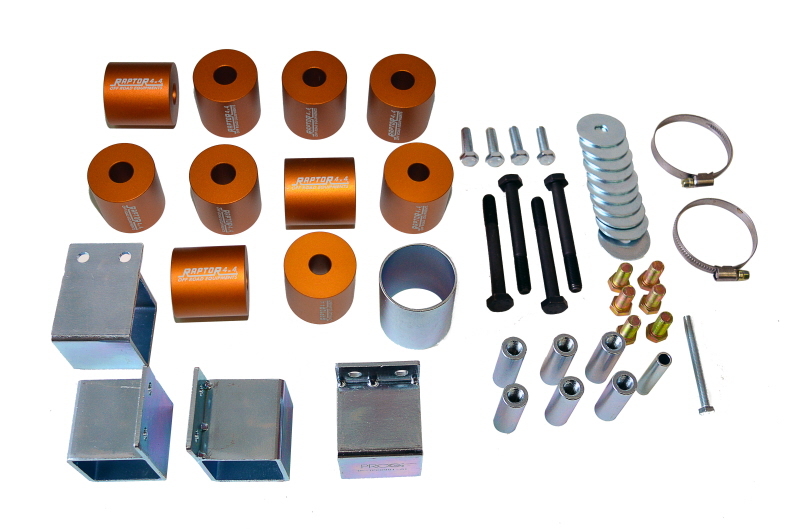 This kit improve quality of offroad tracks, from Trial Extreme to fast offroad. 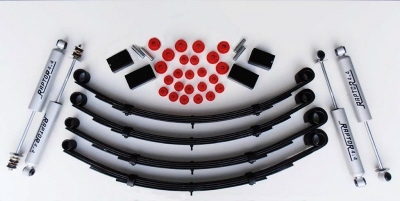 For all models of leaf springs Suzuki. 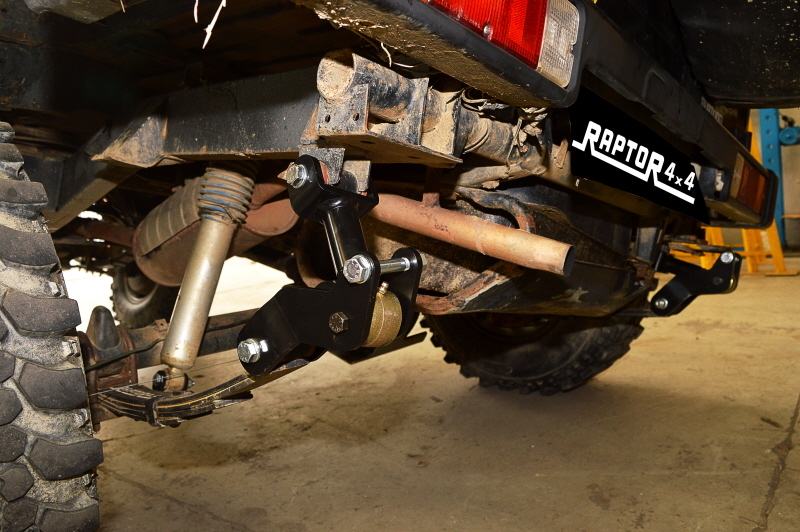 With HD shocks absorber +3". 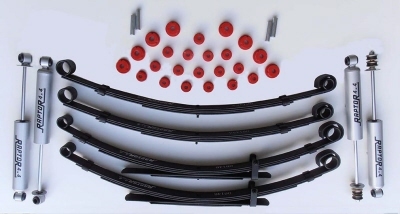 Allow to fit the leaf springs up to the axle, having a lift kit and keeping suspension system of the car very heavy duty. 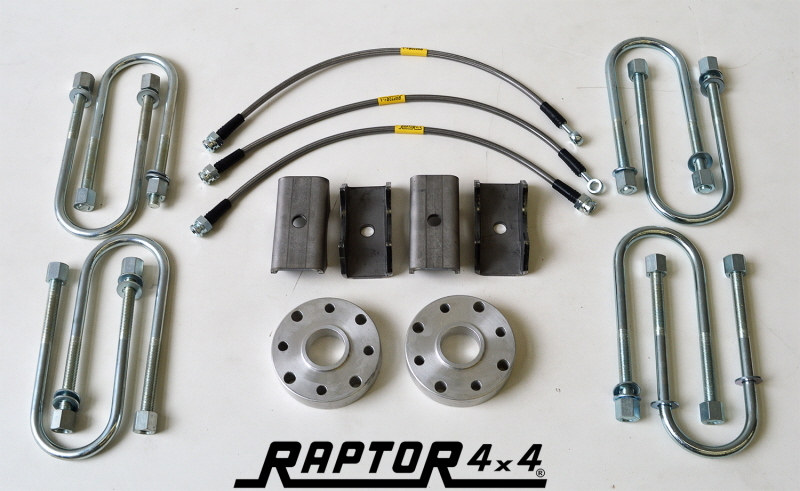 Raptor 4x4 dynamic shackle kit, built up with Johnny joint 2" in order to give the maximum strenght to the kit. 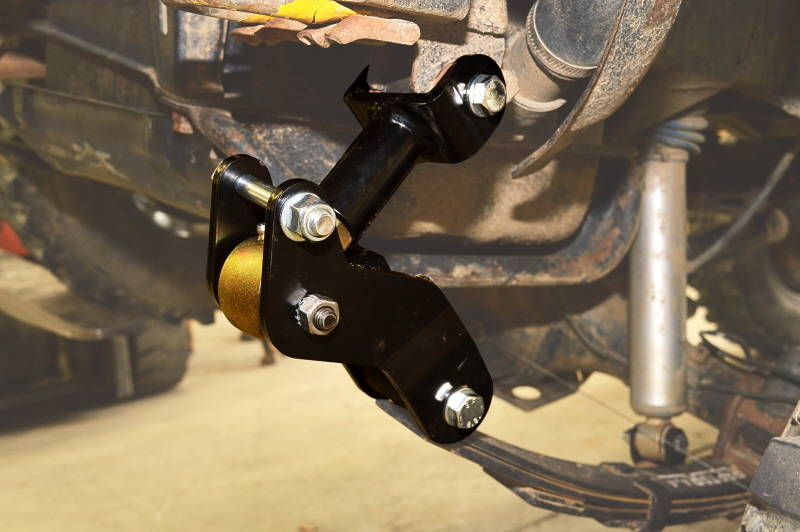 Thanks to that shackles the car car gain several movements on the rear axle, improving the offroad capability.